ary Ellen Edwards (1838–1934) was one of the most productive and popular artists of the middle of the nineteenth century. Her illustrations appeared in the foremost periodicals, notably The Cornhill Magazine and Once a Week, and her paintings were exhibited in number of venues where they were sold at affordable prices for a bourgeois clientele. Writing in 1876, Ellen Clayton describes her as ‘familiar … and most welcome to the general public’ (2, p.75), and this judgement is echoed by Gleeson White in 1897. However, this ‘most popular’ designer (White, p.32) has a limited reputation. Fêted in her own time, she is widely regarded among modern observers as a ‘secondary’ talent of minimal capacity whose paintings and illustrations are anodyne and uninteresting. Speaking of her book-art in terms which are also applied to her canvases, and only according her a terse paragraph, Forrest Reid (1928) provides a typical assessment. Edwards, he says, is unquestionably one of the ‘rank and file’ (p.247) and can only be viewed as a minor practitioner who ‘in her own small way’ had a ‘genuine talent’, but is repetitious and unable to produce anything other than scenes of a ‘mildly sentimental’ nature (p.261). Yet Reid’s judgement is incomplete, and one which reflects a misunderstanding of the artist’s complex achievements. Bound by these conventions, Edwards produced a large number of sentimental paintings which closely reflect the limits imposed upon her and her contemporaries. But her real strength lay in her illustrations of the 1860s. Her images in black and white were distanced from the conventional imagery of her paintings, and while some of her illustrations are ‘feminine’ in the gender-marked terms of meaning purely ‘sentimental’ or ‘domestic’, most of her engravings on wood combine a hard-headed appreciation of the mores of contemporary society with an intense awareness of psychological complexity and the ramifications of difficult situations. These apparently masculine qualities equipped her as the illustrator of the most unsentimental of writers. Her greatest designs were for Anthony Trollope’s The Claverings, which appeared in The Cornhill in 1866 –67; she illustrated M. E. Braddon’s sensational Birds of Prey in Belgravia (1867); and she made comparable images for Charles Lever’s The Bramleighs of Bishop’s Folly (Cornhill, 1867–68; first book form, 1872). This material embodies a distinct style with an inventive response to the written material. Indeed, Edwards’s prime interest lies in her talent as a literary interpreter, presenting memorable designs which bear comparison with some of the best practitioners of her time; unlike her contemporaries, she competed with men while also displaying a distinctly feminine sensibility. The scope, style, influences and interpretive strategies of this under-valued artist are worth recovering. ary Ellen Edwards came from a middle-class background; born in Surbiton in 1838, she was one of nine children. Her father, Downes Edwards, was an engineer and inventor who made a great success of his career. He started his working life developing a patent for the preservation of potatoes; thereafter he designed a series of devices for the improvement of railway signals and pumps. Prosperity was hard-earned and the family moved between London and the Isle of Man, eventually settling in the capital. As Alan Hart demonstrates in his detailed family history, ‘fortune continued to smile’ (Meadow family tree), and Downes’s success is reflected in the details of comfortable addresses in Greenwich, Kensington and Chelsea. Mary Ellen’s siblings enjoyed the advantages of this bourgeois background: two of her brothers pursued distinguished careers as an inventor and barrister, and all three of the Edwards sisters demonstrated a capacity for art. Jessie Edwards (1842–1924) remained an amateur, but Mary and Kate (fl. 1865–79) became professional artists. Art was in the family: one of their uncles was a scenery-painter and the sisters were encouraged to pursue their interests. Training to become an artist was nevertheless a problematic issue. Opportunities for women were extremely limited; as Deborah Cherry remarks, female artists were never given the same openings as men and ‘were located in asymmetrical and unequal relations to art education’ (p. 53). Women were admitted to The Royal Academy in very small numbers from 1861 (Gerrish Nunn, p.47), but preparatory institutions were ambiguous: Heatherley’s provided classes for women, but Sass’s was male-only. In practice, women’s training was of far more variable quality than men’s, and was typically a mixture of private tuition and institutional coaching. Edwards’s training was precisely of this sort. She spent some time studying under the tutelage of academician Edward Armitage, and she later attended the South Kensington School of Art. Both ventures were short-lived and her time at Kensington only lasted a term. All of her training was completed by 1860, when she twenty-two years of age, and still living with her parents. The Census of 1861 reports her occupation as ‘artist’ and what should have been rudimentary skills, but were clearly far in advance of expectations, were sufficient to allow her to paint professionally; she began to exhibit at The Royal Academy and contributed work until 1908. During this long period she married twice, firstly to John Freer (1866), who died in 1869 and by whom she had a son, and later to John Staples (1872), an illustrator of children’s books. 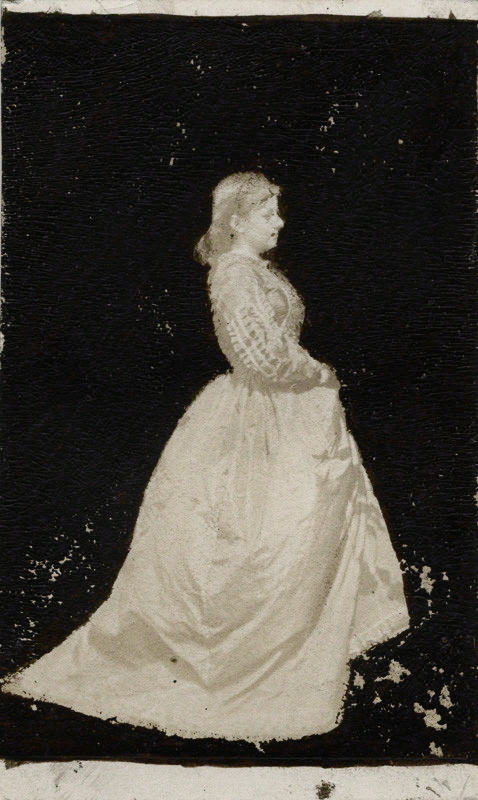 Edwards’s productivity and movement between addresses in Chelsea and other middle-class districts suggests that she and her husbands were relatively prosperous and she gained financially from the engraving of early paintings such as The Last Kiss (1867), which was published in considerable numbers by Henry Graves. However, it is likely that painting only offered limited economic opportunities. It is probable that the early part of her career in the 1860s was characterized by irregular income, and she almost certainly turned to illustrating in black and white as another source of financial support. This was a well-worn route; indeed, most of the outstanding male illustrators of the 1860s were also painters who supplemented their incomes earned in the sale and exhibition rooms with monies earned from drawing on wood. The Pre-Raphaelites practised drawing on wood to gain extra ‘tin’ and bolster their reputations, and illustrators as accomplished as Frederick Sandys and Arthur Boyd Houghton were artists in colour as well as in black and white. The box-wood revolution and the establishment of illustrated magazines such as Good Words, Once a Week, The Argosy and The Cornhill Magazineensured there were always opportunities, and even artists of limited competence could find a niche, or at least some means to earn a living, with the mainstream publishers. In this context Edwards would have found many openings, and it is unsurprising to find that in the early sixties she gained favour with some of the most influential journals. What is surprising, however, is how rapidly she established herself. Working in a market in which publishers paid £10–£15 per engraving and commissions were only gained on a competitive basis (Cooke, Illustrated Periodicals, pp. 54–61), she became a jobbing artist on the same terms as prestigious male designers such as A. B. Houghton, George Pinwell, Fred Sandys and J. E. Millais. This in itself is highly unconventional, a stretching of proprieties, and represents a small assertion of women’s equality with men. No such test was experienced by Potter, Greenaway or any other female artist except perhaps Edwards's own sister, Kate. Her acceptance into this work was predicated on two remarkable achievements. One was her capacity to draw in the style of ‘poetic naturalism’ (Reid, p.2), central to the art of ‘The Sixties’, which was demanded by the periodicals. With little formal training in perspective or drawing she produced designs which from the first were highly accomplished – though some minor slips are detectable – and in close accord with editors’ requirements. The other was her ability, apparently with no training whatsoever, to draw directly onto the block; although proofs for her illustrations for Lever are still in existence (see Engen), there are no surviving photographs to suggest she ever engaged with the technique of photographic transfer, nor are there any ‘transfers’ in the form of tracing paper and copies. Accomplished designers struggled with the process of drawing in reverse onto a piece of wood coated in Chinese White, but Edwards’s productivity suggests she had a natural facility for this type of work; one block survives (Houghton Library, Harvard University). In short, Edwards’s formal and technical abilities enabled her to service the particular demands of illustrating in black and white for the magazines, exploiting her talents to provide numerous images to tight deadlines and in great numbers. This capacity was taken up by many of the important journals of the period, a list that includes The Churchman’s Family Magazine (1863–64); The Quiver (1864); The Sunday Magazine (1865); Good Words (1866); The Argosy (1868); and The Illustrated Times (1867). However, her most sustained contributions were in The Cornhill Magazine (1866), Once a Week (1865–68), Belgravia (1866–70) and The Graphic (1869–80), where she gained the unusual distinction of being a permanent member of staff. Her success as a periodical illustrator, paid mainly on the basis of piece-work, also led to commissions for books. Her images appeared in a series of elaborate gift books of the sixties, featuring alongside work by George Du Maurier and Pinwell, notably in Idyllic Pictures (1867). Her fame by the end of the decade is suggested by the appearance of her name on the title-page of this book, placed second in the list after Robert Barnes and above those of Pinwell, Frederick Sandys and William Small. ‘Miss Ellen Edwards’ was clearly a selling-point. Her name was similarly used to promote The Quiver, the magazine from which Idyllic Pictureswere taken, and regularly appeared in advertisements in regional newspapers such as The Newcastle Guardian and Tyne Mercury; a copy of August 1868 boasts of her ‘handsome’ frontispiece to The Quiver, and urges readers to snap it up (Newcastle, p. 7). This success was carried forward in her work for The Graphic, although her later career, after 1880, was more conventional. Having competed in the harsh market-place of periodical publications for front rank writers and hard-task masters such as the publisher George Smith and the editor Samuel Lucas, she turned finally to a series of books for the nursery which run in parallel to those by her second husband, John Staples. It was at this point that her art converges with the imagery of Kate Greenaway. During this period she illustrated texts by Mrs Molesworth and Frederick Weatherley in the sentimental manner of children’s books of the eighties and nineties. She died on 22 December 1934 at the age of ninety-six, although the date of her passing is incorrectly reported in most reference books as 1910. The Times carried an obituary. Braddon, M.E. Birds of Prey. Belgravia 2 (June 1867). Co-illustrated by Braddon. The Churchman’s Family Magazine (1863–64). Idyllic Pictures. London: Cassell, Petter, & Galpin, 1867. Co-illustrated by Edwards. Lever, Charles. The Bramleighs of Bishop’s Folly. London: Chapman & Hall, 1872. Illustrated by M. E. Edwards. Trollope, Anthony. The Claverings. The Cornhill Magazine 13–15 (1866–67). [Anon] ‘The Claverings.’ London Review 14 (11 May 1867): p.547. Cherry, Deborah. Victorian Woman Artists. London: Routledge, 1993. Clayton, Ellen C. English Female Artists. 2 Vols. London: Tinsley, 1876. Cooke, Simon. Illustrated Periodicals of the 1860s. London: British Library, 2010. Engen, Rodney. Exhibition of Proof Wood Engravings at the Mendez Gallery. Stroud: Hodgkins, 1986. Garrigan, Kristine Ottesen. ‘Women Artists.’ Victorian Britain: An Encyclopaedia. Ed. Sally Mitchell. Abingdon: Routledge, 2011. pp. 864 –66. Gerrish Nunn, Pamela. Victorian Women Artists. London: The Women’s Press, 1987. Hall, N. John. Trollope and His Illustrators. New York: St Martins Press, 1980. The Newcastle Guardian and Tyne Mercury. 8 August 1868. p. 7. Reid, Forrest. Illustrators of the Eighteen Sixties. 1928; rpt. New York: Dover, 1975. Trollope, Anthony. An Autobiography. 2 Vols. London: Blackwood, 1883. White, Gleeson. English Illustration: The Sixties, 1855–70. 1897; rpt. Bath: Kingsmead, 1970.